Urban flooding is a multibillion-dollar challenge for Canadians. Since the 1970s, approximately half of all natural disasters in the country have been caused by floods. 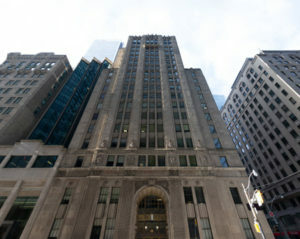 The heritage building on 320 Bay Street in Toronto, which originated as the Canada Permanent Trust Building, will be revitalized as an office space. A heritage building in Toronto’s financial district will be revitalized as an office environment. Designed by prominent Canadian architect Henry Sproatt, the building was originally the Canada Permanent Trust Building. The major restoration project by Menkes Developments and TD Greystone aims to improve the quality and service of the space, while preserving its historical and architectural elements. Menkes has plans for a street level re-imagination of the building. The revitalization of the 2508- m2 (270,000-sf) space will include significant electrical and mechanical upgrades. The revitalization will take place over the next 12 to 18 months, with occupancy in 2020.